We're very excited to be welcoming awarding winning Canadian author Wayson Choy to the Spring Garden Road Library on Tuesday October 6th. He'll be reading from his recent memoir Not Yet: a memoir of living and almost dying. Wayson Choy is a novelist whose previous books have been nominated for or won a number of Canadian book awards. His writings frequently focus on the experiences of Chinese Canadians living in and around Vancouver's Chinatown, which reflects his own upbringing. 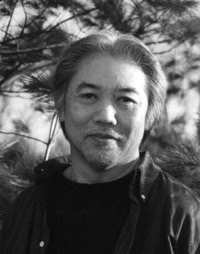 In 2002, his first novel The Jade Peony was selected for the Vancouver Public Library's first One Book, One Vancouver program. The Globe and Mail praised Not Yet as a book where "Illness and recovery are sensitively and sensuously rendered, with candour, humour and authenticity." bonds with these people, forged through countless acts of kindness, that pulled Choy back to his life. Not Yet is a passionate, sensitive, and beautiful exploration of the importance of family, which in Choy's case is constituted not through blood but through love. It is also a quiet manifesto for embracing life, not blind to our mortality, but knowing how lucky we are for each day that comes." For more information on the program call the Spring Garden Road Library at 490-5700 or click here. The program takes place on Tuesday Oct 6th at 7pm. This program has been made available through the generous support of the Canada Council for the Arts. Having heard Wayson read twice before, I know for sure this program will be delightful!